I have been working on the diaries of Emilie Frances Davis since 2005 and I am absolutely delighted to announce that finally (finally!) the book is coming out! It is scheduled to be released by the University of South Carolina Press on May 18, 2014. I would suggest that you preorder it, that way you won’t have to keep reminding yourself to buy it! HI there! Congrats on your 2nd book! 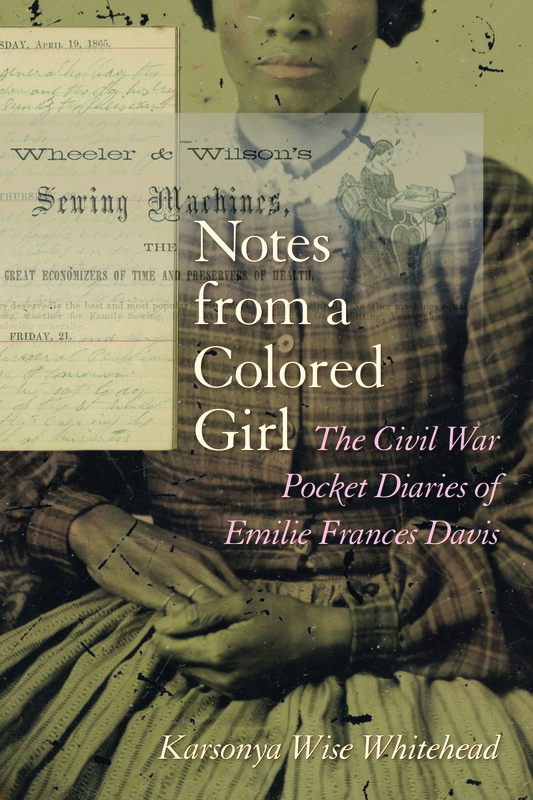 I will definitely pre-order and look forward to reading all about Notes from a Colored Girl. Thank you so much! I hope that you enjoy reading it as much as I enjoyed writing it.